Bangalore International Airport or Kempegowda International Airport is located in Bangalore, capital of Indian southern state Karnataka. Being spread over an area of 4,000 acres, the airport is located about 40 km north of the city near Devanahalli. The operations of the airport are being managed by BIAL i.e. Bangalore International Airport Limited. The airport is named after Kempe Gowda I (founder of Bangalore). It has become Karnataka’s first fully solar-powered airport. 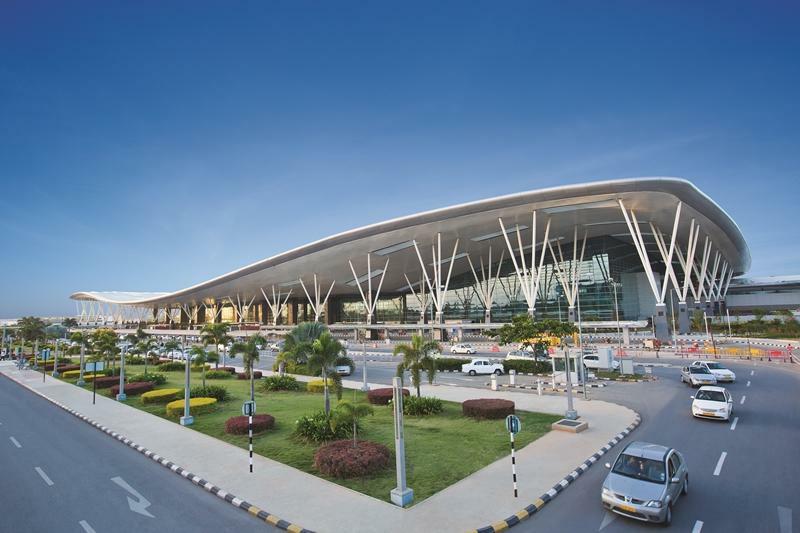 Kempegowda International Airport is the third busiest airport in India after the airports of Delhi and Mumbai. The lesser known fact about KIAB is that it has received the Gold rating in LEED India from the Indian Green Building Council for energy efficient, eco-friendly and sustainable terminal building design. The Bangalore airport code is BLR.